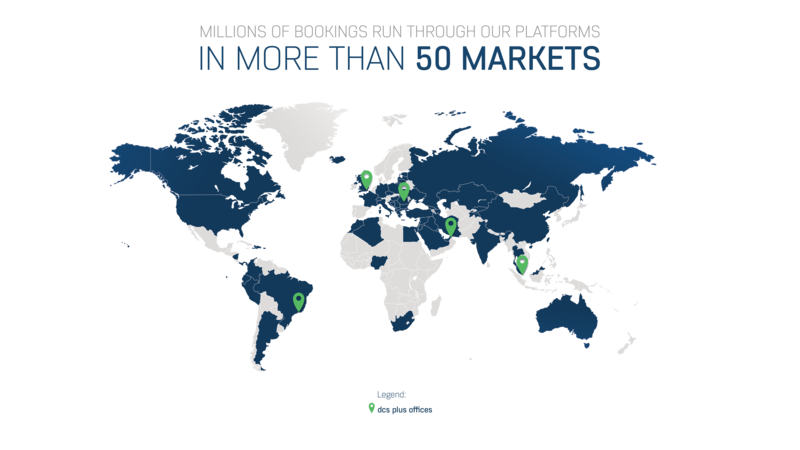 Hundreds of travel agencies in more than 50 markets can't be wrong! Our complete range of business critical end-to-end solutions – TINA, AIDA, IRIX, CSBT and TRIP – is used by important travel agencies in over 50 markets: Albania, Algeria, Australia, Azerbaijan, Brazil, Bulgaria, Canada, China, Colombia, Czech Republic, Dominican Republic, Ecuador, Egypt, Estonia, France, Georgia, Germany, Greece, Hungary, Iceland, India, Iran, Iraq, Israel, Italy, Kuwait, Latvia, Lebanon, Lithuania, Malaysia, Moldova, Nigeria, Nicaragua, Panama, Poland, Puerto Rico, Romania, Russia, Saudi Arabia, Serbia, South Africa, Singapore, Switzerland, Taiwan, Turkey, UAE, UK, Ukraine, USA. The list below covers some randomly selected customers, from all over the world. We grow together with all of our clients and with the travel industry. They can't be wrong. Check out their testimonials!